After enduring what felt like an never-ending deluge of radio rips and official leaks, Childish Gambino has finally delivered his much hyped Royalty mixtape. The tape is Gambino's first project since last year's release of his well-received debut album, Camp. Never one to attach a laundry list of features to any of his given projects, Gambino made the rather unprecedented move of enlisting an impressive list of artists for his latest effort. The eighteen track tape features guest spots from the likes of RZA, Danny Brown, Steve G. Lover, Nipsey Hussle, Kilo Kish, Chance the Rapper, Ghostface Killah, Bun B and Beck, who in addition to lending some bars on "Silk Pillow" also produced track fifteen, "Bronchitis". The majority of the original production on the tape is handled by Gambino and long-time collaborator Ludwig Göransson with other production credits going to Boi-1da, Myke Murda and Skywklr. Lyrically Royalty has an unmistakably gritty edge to it. Listeners will hear less of the lighthearted and witty melody-driven cuts that haven been staples on Gambino's past projects and more bass heavy, trap-influence production. If you're expected Royalty to be a seamless continuance of Camp you're in for a rude awakening. 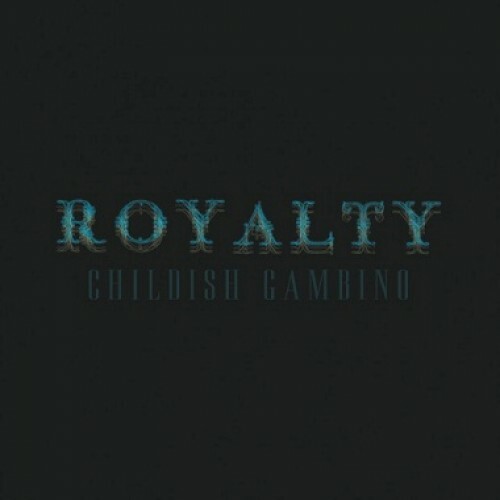 Undeniable heaters like the ScHoolboy Q and Ab-Soul assisted track "Unnecessary" exemplifies the seismic shift in terms of Gambino's lyrical style and delivery. The bass thumping cut "Arrangement" features CG matching bars with fellow Georgia rapper Alley Boy. One of tape's more interesting curveballs comes on the closing track which features Gambino's friend and 30 Rock co-star Tina Fey adding her two cents to the anthemic track "Real Estate".